Keeping up with the expectations of modern customers is challenging enough, but throw in extending APIs to legacy backend systems for compatibility with web, cloud, or mobile technology, and you may be having a difficult time operating in streamlined digital way. APIs need to be manually created by developers with specialized skills, adding complexity and creating delays. You need a strong, repeatable strategy for creating APIs. 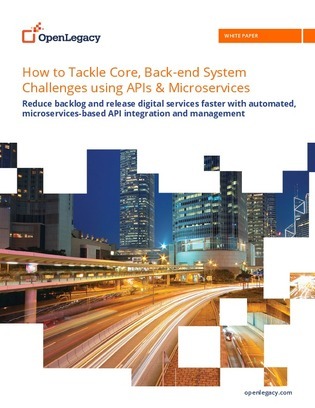 Explore automating API creation in this whitepaper, the platform that can help you get there, and how quickly you can take API creation off of your developers’ plates.